Map of DGM Brazil subprojects. With support from DGM Brazil, the 64 subprojects aim at the sustainable development of territories and cultures of indigenous peoples, traditional communities and Quilombolas of Cerrado (Brazilian Savanna), the second largest biome in the country, known as the "birthplace of waters". For a great extent, the selected subprojects aim to replenish the Cerrado biome with native species and promoting its sustainable management through: recovering springs and degraded areas (15), agroecological production (11), small agroindustries, processing and marketing of products from the Cerrado socio-biodiversity (15), territorial and environmental management and surveillance (11), strengthening craft production (5), community-based tourism (3), and institutional strengthening of representative and support organizations for indigenous peoples, Quilombola communities and traditional communities (4). At the end of the project there will be 34,780 beneficiaries involved, being 11,041 adult women, 9,925 young people and 3,326 elders; 102 hectares for recovery; 74 springs to be protected; 238,089 hectares of area under community surveillance; 786 training activities (exchanges, seminars, workshops), of which 322 are specific for women; food security of 527 families. Resulting in 6,582,106 hectares of protected area belonging to the peoples of the Cerrado supported for sustainable landscape and land use managements, of which 6,478,115 are indigenous lands; 68,689 of Quilombola territories and 35,302 of traditional communities. Community members are building their capacity for forest management and engagement with national programs with DGM support. In October 2017, DGM Brazil held a three-day seminar on “REDD+ and Indigenous Peoples, Quilombolas, and Traditional Communities” which had 72 participants learning how they could play a role in the reduction of emissions from deforestations and forest degradation. In December 2017, DGM Brazil representatives of 16 market-oriented subprojects participated in an exchange of experiences. In January 2019, DGM Brazil started a new cycle of training designed based on the demands presented by the supported subprojects. The training plan has been structured in five thematic axes, being organized in 10 courses and three events. The axes are: 1 - Legal basis and social control; 2 - Conservation and environment; 3 - Production and market; 4 - Leadership training and project management; 5 - Events and seminars. 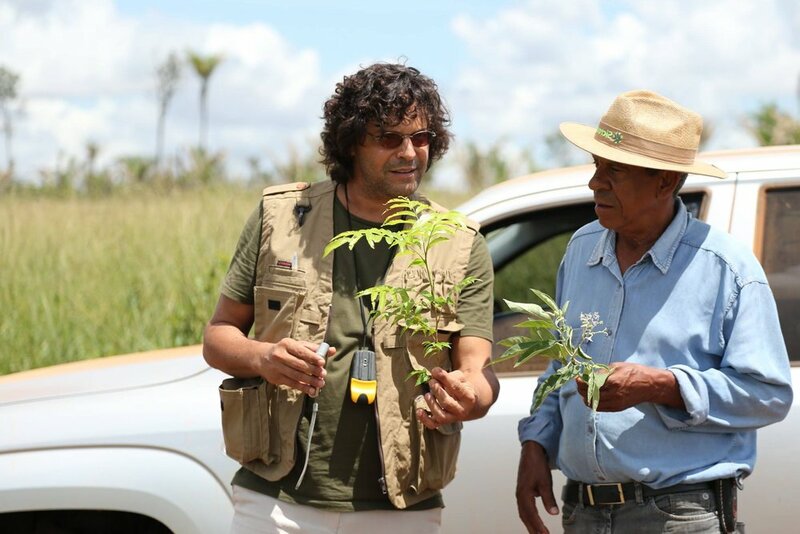 For the implementation of the activities, several partnerships are being formed, such as Bem Diverso Project/Embrapa - Brazilian Agricultural Research Corporation, universities, family farming cooperatives, among others. The main objective of [the seminar] (October 18-20, 2017) in Brasilia was to include Indigenous Peoples, Quilombolas and Traditional Communities in the debate on the national strategy for [REDD+]. The last of four learning exchanges hosted this year by the DGM is taking place from June 15-18 in Minas Gerais, Brazil! The DGM Brazil National Executing Agency, CAA is co-facilitating the event. Third Annual Global Steering Committee Meeting! The DGM is getting ready for the Third Annual GSC Meeting to be held in Brasilia, Brazil! The GSC will be reviewing proposed activities for the upcoming fiscal year, approving important documents such as the Communications Plan, and learning about the progress of implementation in the various DGM countries. Our third issue of the DGM Digest newsletter is now available. The issue focuses on DGM activities in Brazil and an update of the process to establish the DGM Ghana project.